Unless you're from Hawaii, going home for the holidays is probably not something you're particularly excited about. Winter weather is already underway in a big part of the country and there's only so much a big plate of turkey and stuffing will do to help you feel better about the cold. Thankfully, a new promotion from JetBlue may provide you the lifeline you need to get through the arrival of winter, with super-cheap flights to destinations across the South. You know, where it's warmer. 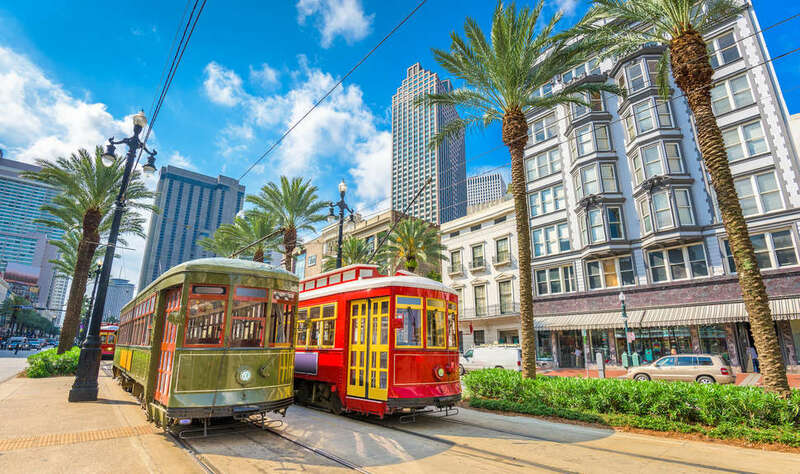 From now through the end of the day on Friday, November 16, the discount-prone airline is offering deals on one-way flights from Boston and New York to cities like Atlanta and New Orleans. Highlights include fares like Boston to Atlanta for $54, New York to Savannah, Georgia for $59, Boston to Charlotte for $64, and New York to New Orleans for $89, among others. You can check out the full list of discounted tickets on JetBlue's official sale page. Just keep in mind you have only until midnight to take advantage of the deals. Unfortunately, these discounts aren't going to help you save money on your trip home for the holidays. Most of the cheap fares come with restrictions: you'll have to fly sometime between November 27, 2018 and February 13, 2018, the flights have to be on Sunday, Tuesday, or Wednesday, and December 15, 2018 through January 6, 2019 are totally blacked out. There's still a pretty strong chance you can score a trip on the cheap, though, if you take a good look at your calendar and remaining vacation days this year. Your mental health is worth the work, after all. But if none of the cheap flights work for you, you can at least treat yourself to a free cheeseburger.